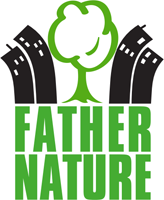 On Sunday 28th August 2016 Father Nature once again brought its FREE overnight camping mini-festival for low income and local families to Myatt’s Fields Park, Lambeth. Now in its fifth year, the project aims to connect inner city families across communities with each other, with their local park and with nature to foster cohesion, confidence and health on all levels. It’s also a lot of fun! With tents and sleeping bags provided for all, and park security provided by the Army Reserves and Cadets, the event includes a fire lighting workshop, cooked dinner, story telling before bedtime and breakfast the next day. We have lots of activities and workshops including knife skills/whittling, circus skills, tree ident walks, knot making, foraging and cooking, bushcraft, and plant-art as well as lots of team sports and games. To read about the 2016 Sleepover in detail, please read our Big Park Sleepover 2016 Project Report or take a look at our Feedback Survey. In 2016 we crowdfunded the project at Spacehive and thanks to the Mayor of London’s Crowdfunding Programme as well as the Dogstar, CLS Holdings plc, Organico and Sainsbury’s at Brixton Water Lane and over 170 amazingly generous individuals, we hit our full project target on time. Our next Sleepover is planned for 2018 and we already have three more parks on board for a sleepover and are seeking more locations across London to join us for the next ‘Big Park Sleepover’. If you would like to get involved or are looking for a sponsorship opportunity please contact us at [email protected]. We’ve held the ‘The Big Park Sleepover’ at Myatt’s Fields Park since 2011 in partnership with the charity Myatt’s Fields Park Project, Lambeth Council, Rob Fallon at ‘Wild Nature’, and the London Regiment Army Reserves & Cadets. Here’s a brief glimpse of the fun we’ve had in previous years.